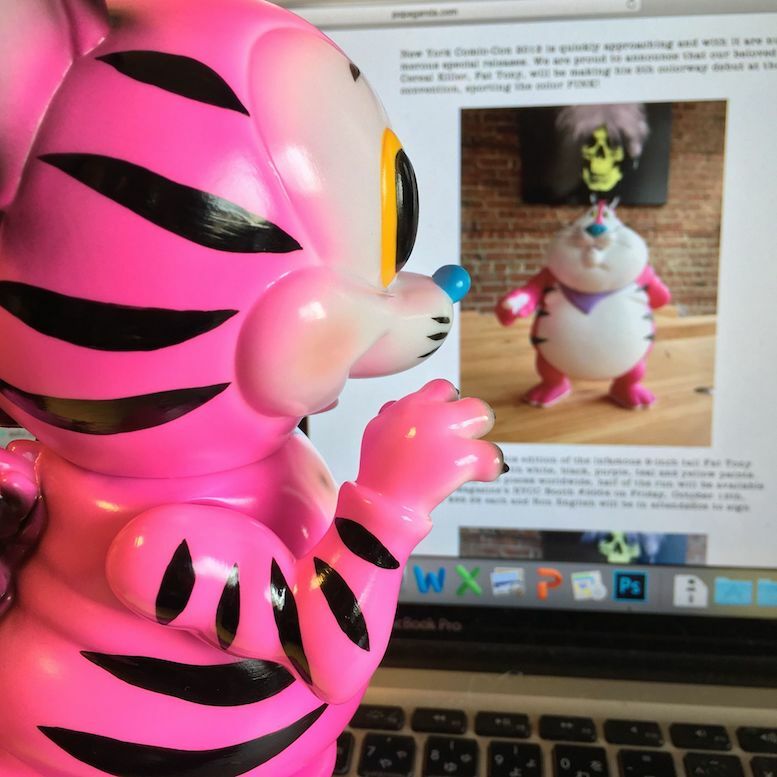 In addition to the One-Offs (featured yesterday) from Blackbook Toy at Wonder Festival, expect a couple more PRODUCTION RELEASES - featuring new doorways for Ron English's Mousezilla and SKUM-kun in three marbled colors! 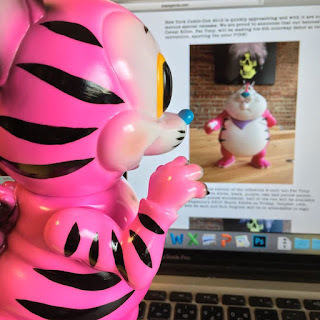 BBT has recreated Ron English 5th colorway for FAT TONY in PINK. Priced at 16,000yen(Special price at Wonder Fest). only 6-pieces will be made available at their booth 4-26-20 (under the name N-PLAN), while the remaining will be made available at Summer Soul in HK on Aug 18th. (Final quantity unrevealed). Figure comes along with a pink mini Mousezilla. @ning82828 aka @melowang_bbt managed to finish up painting these 5 mini Tony the Mousezilla PK for WF this Sunday!! One of them would be for @ronenglishart so only 4 of them are up for grab along with 6pcs of standard size PK Tony the Mousezilla there!! See u at WF 4-26-20!! 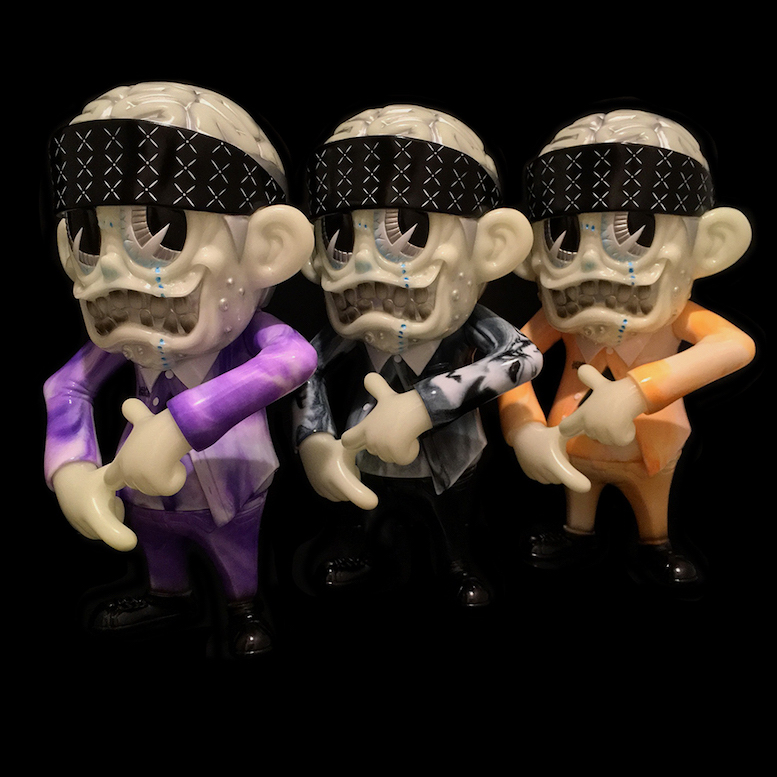 BBT will also be unleashing a new colorway of their S” K” UM-kun with Suicidal Tendencies, with the “Acid Marble” edition. Priced at 15000yen(PU) and 15200yen each (BK, OR), these 24cm tall sofubi will be made available both at Wonder Fest, AND online here from from midnight of Aug 5th as a first come first served basis(JP time). FYI: "PU"/Purple marbled is the rarest in the series, limited to only 6pcs. So here are the actual 6pcs of PU Acid Marble S"K"UM-kun we are going to sell at WF!! Each one is very unique! I love the way ST Skull is printed on marbled cast🔥🔥🔥Come get them at booth 4-26-20 on 29th! !